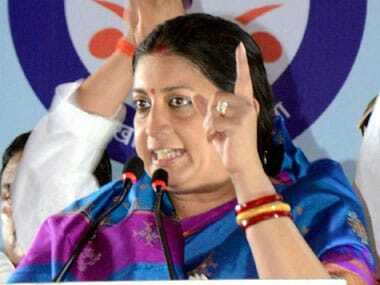 New Delhi: In a relief to Smriti Irani, a Delhi court on Tuesday dismissed a complaint against her for allegedly giving false information on her educational qualification to the Election Commission, saying it was filed to "needlessly harass" her as she was a union minister. Metropolitan Magistrate Harvinder Singh said there was a "great delay of around 11 years" in filing the complaint as it rejected the plea to summon her as an accused. "Therefore, prayer for summoning the proposed accused (Irani) is hereby declined," the court said while pronouncing the order. In his complaint, freelance writer Ahmer Khan had alleged that Irani, now Textiles Minister, had deliberately given discrepant information about her educational qualifications in affidavits filed before the Election Commission in 2004, 2011 and 2014 and not given any clarification, despite concerns raised on the issue. Khan had urged the court to take cognisance of the offenses alleged in the plea under Section 125A of the RPA and "summon the accused person, Smriti Z Irani, for trial". "After conducting trial hold the accused guilty, convict and sentence the accused person in accordance with law, in the interest of justice to the complainant and also the public at large", he had prayed. The court, while declining the prayer, said the original evidence was already lost due to the passage of several years and the court needed to be "relieved of the burden of adjudicating such inconsequential claim or case". It said the fate of the case could be foreseen as an inevitable failure as original evidence was lost due to the "great delay" and the complainant may not have even bothered to file the plea if Irani was not a central minister. 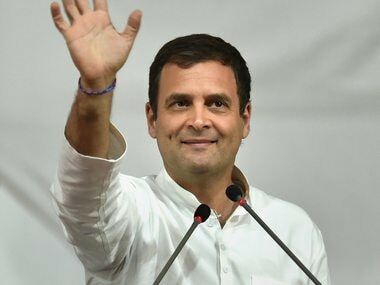 "The said delay could not be condoned as the complainant is not an aggrieved person, the complaint does not appear to have been filed for the vindication of the majesty of justice and maintenance of law and order, the complaint appears to have been filed to needlessly harass the proposed accused," the magistrate said. The court said the alleged offense under the IPC entailed a maximum punishment of three years for which the limitation for filing the complaint was three years under the CrPC. A poll panel official had earlier told the court that the documents filed by Irani regarding her academic qualification while filing nominations were not traceable. However, the information on this was available on its website, he had said. 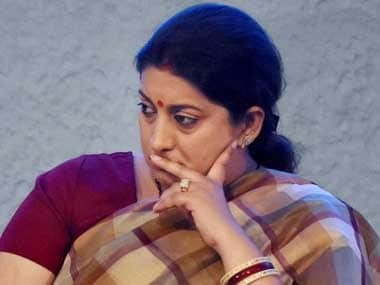 In pursuance to the court's earlier direction, Delhi University had also submitted that the documents pertaining to Irani's BA course in 1996, as purportedly mentioned by her in an affidavit filed during 2004 Lok Sabha elections, were yet to be found. The court had on 20 November last year allowed the complainant's plea seeking direction to the officials of EC and DU to bring the records of Irani's qualifications after he said he was unable to place them before the court. Khan had alleged that Irani had knowingly furnished misleading information about her qualifications and that a candidate, deliberately giving incorrect details, could be punished under provisions of the IPC and under section 125A of the Representation of the People Act (RPA). The court on 24 June last year had taken cognisance of the complaint which had accused Irani of furnishing false information about her academic qualifications in the affidavits filed before the EC in 2004, 2011 and 2014. The complainant had earlier claimed in court that in her affidavit for April 2004 Lok Sabha polls, Irani had said she completed her BA in 1996 from DU(School of Correspondence), whereas in another affidavit of 11 July, 2011, to contest Rajya Sabha election from Gujarat, she had said her highest educational qualification was B.Com Part I from the School of Correspondence, DU. 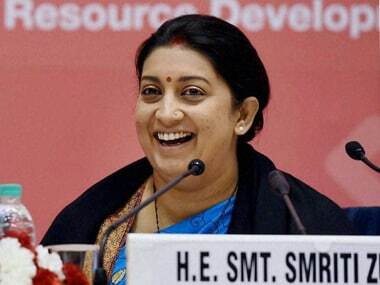 The complaint also alleged that in the affidavit filed for nomination of 16 April, 2014 Lok Sabha polls from Amethi constituency in Uttar Pradesh, Irani said she had completed Bachelor of Commerce Part-I from School of Open Learning, DU.